With the onset of the atomic age in 1945, geneticists increasingly spoke out about how nuclear fallout and radiation impacted heredity and reproduction. By the 1960s others began to draw attention to how another post-war chemical—the pesticide DDT—might impact the hereditary future of mankind. Scholarship discussing post-World War II scientific activism focuses almost exclusively on males, without little attention paid to women who served as public scientists or the impact gender may have played in gaining public trust and influencing policy makers. The seventh annual SustainIU Week, organized by the IU Bloomington Student Sustainability Council and its member organizations, will focus on “Water Scarcity in the 21st Century”. Several exciting events are planned for the week, including a keynote lecture by National Geographic photographer James Balog on Wednesday, February 18 at 7:30 PM in the IMU Whittenberger Auditorium. You can find a full list of events on the SustainIU page by clicking here, or by checking out our SustainIU 2015 event on Facebook by clicking here. 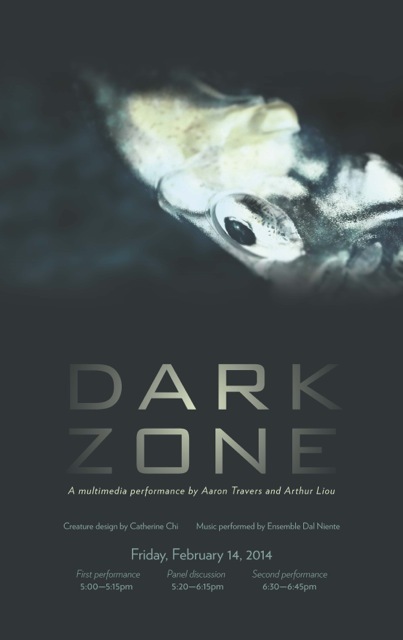 This Friday, Feb. 14 at 5PM, there will be a performance of a new multimedia work based on deep-sea bioluminescence called Dark Zone, with music by Aaron Travers and video by Arthur Liou. The piece is about 15 minutes long, with music being performed LIVE by the Chicago-based new music ensemble Dal Niente. Following the performance, there will be a panel discussion about the intersection of music, video and science, and the process of collaboration. After this, there will be a second performance at 6:30PM. The performance is FREE. We would love to see you there. Text “Yele” to 501501 to donate $5 to Wyclef Jean’s organization (www.yele.org). Text “HAITI” to 90999 to donate $10 to the Red Cross Int’l Response Fund (www.redcross.org). Bring medical supplies and non-perishable food items to IU’s Center for Latin American and Caribbean Studies (CLACS) at 1125 E. Atwater Ave. They need wound dressings and bandages; rehydration packets; Chloroquine (anti-malarial); non-perishable foods (peanut butter, crackers, canned items, for instance).